Your source for outdoor hiking adventures! 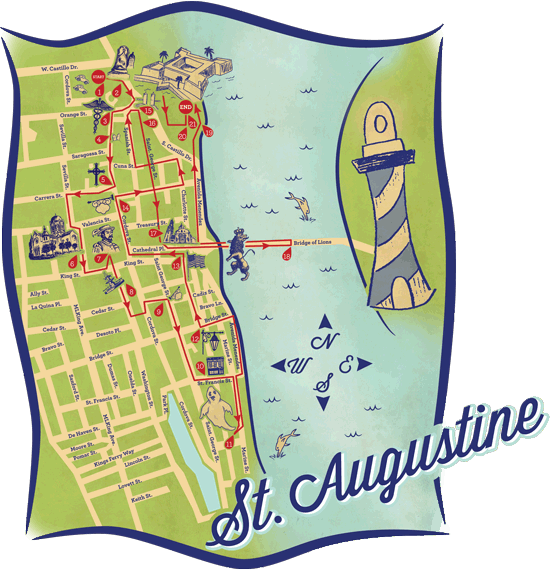 This hike is planned as a five mile hike through the highlights of the St. Augustine historic area. The hike concludes in the Castillo de San Marcos, a 17th century Spanish fort. Along the way, you’ll see old Spanish buildings, Flagler’s Gilded Age structures, and evidence of over 400 years of habitation of the ancient city, St Augustine. There are many museums of varying interests and quality, both free and paid to see along the hike. Plan your time carefully to make the most of this historic hike. The area later to become St. Augustine was surveyed and claimed for Spain by Ponce de Leon in 1513. 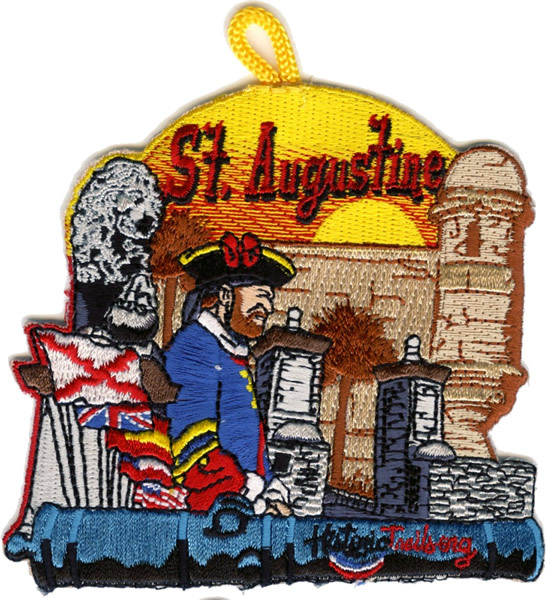 St. Augustine is the oldest continuously inhabited establishment in America. Founded in 1565 by Spain, it changed hands many times during its history. Many flags have flown over the fort: Spain, France, Great Britain, the Confederacy and the USA. Many of the artifacts from these periods still survive. The fort, Castillo de San Marcos, is the oldest fort in America, built in 1672. Many famous people and events have become a part of St Augustine’s history. Sir Frances Drake burned the city in 1586. St. Augustine was a part of the underground railroad in the 1700’s. Osceola, the chief of the Seminole Indians was imprisoned here. Henry Flagler built a grand hotel here in the 1880’s. In 1963, Martin Luther King, Jr. came to St. Augustine to fight for civil rights. Along with the events in Alabama, the efforts made by him and others lead to the passing of the historic Civil Rights Act of 1964. Many early structures still stand in the old part of St. Augustine. To commemorate your trip and order this patch, click here!